How much is Northern increasing its train fares? The announcement that rail fares are to go up in January has been met with frustration by passenger groups and trade unions. 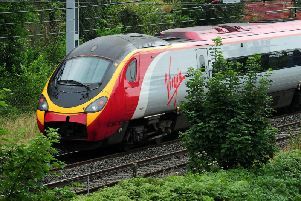 But figures from the Press Association show that Northern, who operate trains in Lancashire, are to increase fares by more than the national average. An announcement that north west tickets will increase by 3.2% was met with dismay by commuters today, who are already suffering from a raft of timetable disruption and strike action. Darren Waters on Twitter said "3.2 per cent increase for this service rammed. I am wedged in a toilet and it's not even rush hour, how can u justify the rise?" @pig28urmston said "@northernassist you should be ashamed. How can you justify increases if local government is going to pay for your guards. Yet more profit for less services", while Nicole Renehan commented, "2 carriages from Manchester Oxford Rd to Blackpool North; packed in like sardines; no rail to hold onto. "An accident waiting to happen @northernassist @northern_resist @GordonMarsden @AndyBurnhamGM @DavidCrausby And you want to raise our fares???" RDG chief executive Paul Plummer said: "Money from fares is underpinning the improvements to the railway that passengers want and which ultimately help boost the wider economy. "That means more seats, extra services and better connections right across the country." Rail, Maritime and Transport union general secretary Mick Cash said the latest fare rise is "another kick in the teeth for passengers on Britain's rip-off privatised railways".